The Canadian Ambassador to the Philippines wants to meet personally with President-elect Rodrigo Duterte. He wishes to discuss the kidnappings conducted by the Abu Sayaff, as well as possible trade opportunities. Two Canadian Nationals were beheaded by the Abu Sayaff earlier this year. The Ambassador of Canada to the Philippines expressed his desire to have a discussion with President-elect Rodrigo Duterte about the kidnappings conducted by the ASG (Abu Sayaff Group), together with the possible trade opportunities. He hopes that the government would intensify its efforts to defeat the ASG and seek out justice for their victims, Ambassador Neil Reeder said. Reeder told Manila Bulletin that “We would like to see more foreign tourists to choose the Philippines as a destination of choice. And obviously security and safety for foreign tourists and community is very, very important. I cannot emphasize this enough that a safe and secure environment for foreigners who are visiting is necessary,”. Earlier this year, two (2) Canadian nationals, John Ridsdel and Robert Hall were abducted together with Norwegian Kjartan Sekkingstad and Hall’s Filipina fiance Marites Flor, from a luxury resort in Samal Island in the Davao Region and eventually brought to the jungles of Sulu. The two (2) Canadians were eventually beheaded after the Canadian Government refused to pay for their ransom, following its policy against shelling out money it believes would simply fund terrorist activities. Canadian Prime Minister Justin Trudeau said that “The government of Canada will not and cannot pay ransoms for hostages to terrorist groups, as doing so would endanger the lives of more Canadians,”. The Filipina hostage was released following the beheading while the Norwegian currently remains in captivity. President-elect Duterte has since apologized to Trudeau for the beheading of Ridsdel when the latter called to congratulate him for his electoral victory last May 9 2016. 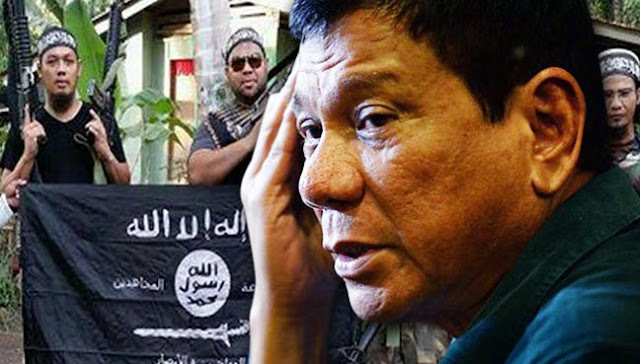 Following the beheading of the second Canadian national, Duterte said he would be confronting the Abu Sayaff Group (ASG) head on, telling GMA News that their kidnap for ransom modus has become an embarrassment for the Philippines in the international stage.